Cut halved carrots in half again crosswise on the diagonal. 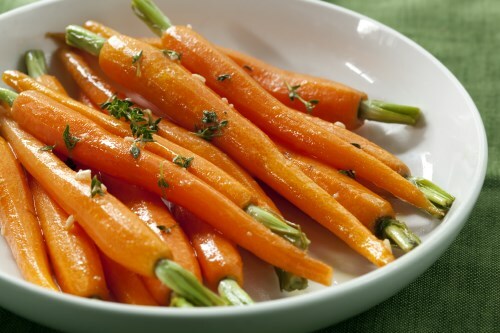 Place carrots into a baking dish and drizzle with melted coconut oil; sprinkle with five spice powder and salt to taste. Toss lightly to coat carrots with oil and seasoning. Arrange carrots into an even layer. Roast carrots in the preheated oven for 15 minutes; check for tenderness and stir if desired. Continue roasting until tender, 15 to 20 more minutes.